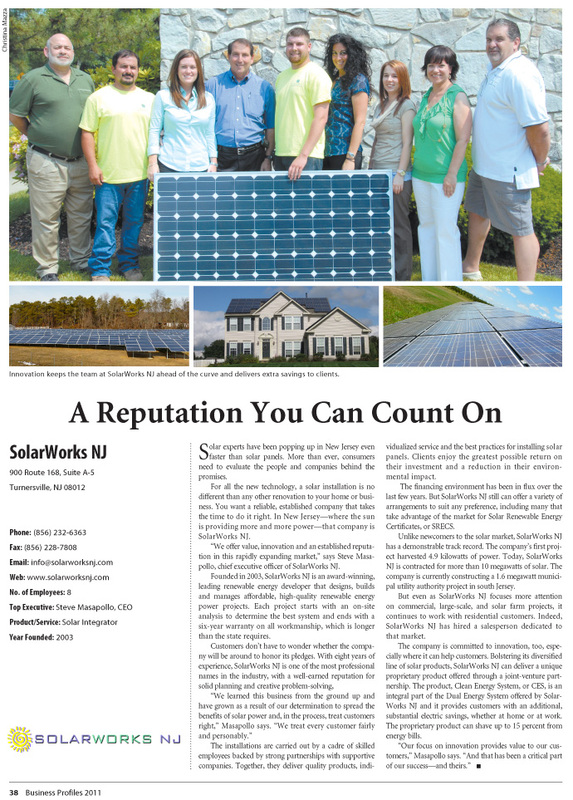 SolarWorks NJ was featured in the 2011 Edition of NJBIZ Profiles. Business Profiles, which is published by NJBIZ, gives executives in New Jersey a platform to share their exciting stories and successes with readers. The platform is proving its value for companies and entrepreneurs who want to show they are moving forward.